Crown Tree by Sniedze Janson-Runģis. Runģis says humans are supposed to be the crown of civilization — but if we are to become that, we have to be much more benevolent. She found a root that she thought looked a lot like a crown and that was the basis. Seedpod Tree by Sniedze Janson-Runģis. Runģis says this represent the female — who herself is a seedpod. She says she also represented the four races and Native American holy colors. Tongues Of Fire by Sniedze Janson-Runģis. Runģis says the meandering shapes are meant to represent serpents. This November, Latvia will celebrate its 100th year as a country. To honor that anniversary, Western Michigan University’s Richmond Center for Visual Arts has two exhibits by Latvian-American artists. The first is by Kalamazoo’s Sniedze Janson-Runģis called Altars & Myths. Runģis says we all have altars — objects that we give special attention to. “For somebody their altar might be their vintage corvette in the garage that they polish and love and for someone else it’s of their grandchildren lined up with other small items,” she said. Runģis’ parents left Latvia during World War II to escape the Soviet Army. She was born in a displaced persons camp in Germany. When she was only six months old, her family came to the United States. “I was really quite ill and we had these wonderful sponsors the Doyles, God bless them," said Runģis. As an adult, Runģis came to Latvia for a writers’ conference in 1990 — the week that Latvia re-declared its independence after being under Soviet rule. During her time there, she says she broadcasted news in English for a radio station and helped establish the country’s first English-language newspaper, The Baltic Times. Runģis has returned to the country several times since. Runģis says her exhibit is made to look like an enchanted forest. In it there are guardian spirits, mostly made out of things she found in nature — sticks, seeds, stones, and animal bones. One area is meant to look like a sacred birch grove. Runģis says, in Latvian culture, the notches in birch trees represent the eyes of their ancestors. “Through the silver birch grove I walk, not a branch did I break. If I had broken a branch, I would walk silvered. I would walk weeping," she said, translating a Latvian saying. In her exhibit, she portrays Latvia as a wreath with small birds and eggs inside it. It’s placed precariously on a tall piece of birch wood — like it could fall at any moment. “It’s a beautiful but also at the same time a very fragile culture. There’s only about two million Latvians in the world,” said Runģis. That’s less than the population of the city of Chicago. “Yet we possess an ancient culture with ancient knowledge that might very well be of great use to the rest of humanity,” she said. Sniedze Janson-Runģis’ work will in the Richmond Center for Visual Arts through March. Runģis’ exhibit is being shown alongside that of Illinois artist Rita Grendze — who’s also Latvian-American. Rita Grendze's work is made up of large panels of paper hanging from the ceiling in the Richmond Center’s atrium. From a distance, they look like woven rugs — but get closer and you’ll see they’re actually made up of pages from Latvian books. Grendze says books have always been special to her. “When I was very young we lived in Canada, in rural Canada, in a town of about 300 people. So our books came via packages that were mailed to us from the library. We had to return them the same way. So getting a new book to read was always a special occasion,” she said. Then, when her parents moved into a Latvian community in the U.S., she got to have Latvian books. Last spring, Grendze was asked to create an installation for Latvia’s 100th anniversary — to be hung in the national library. Since her art is contemporary, she says she wanted something familiar in the work for Latvians. So she cut up 100 books donated from Latvian people and made them look like Latvian tablecloth patterns. Grendze says it was great to see people recognize the books. “'I remember this book from when it was on my grandmother’s shelf' or 'I donated this book, it belonged to my husband who’s now passed.' It’s a great way for people to have another connection to the artwork,” said ​Grendze. Grendze says in times of political turmoil it’s hard to be positive — but we have to try. “I think you have to find those ways to find that little bit of light, that one thing that you can grab onto and turn into a positive action,” she said. Grendze’s installation will be in Western’s Richmond Center for Visual Arts through December. 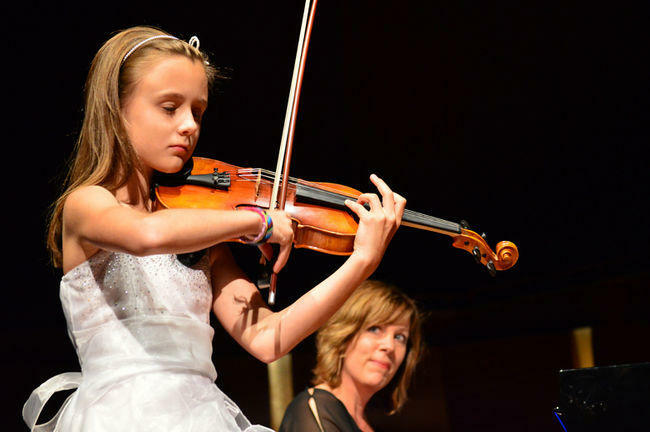 Calgary-based Anna Štube, an 11-year old prodigy from Latvia, will perform in Kalamazoo Wednesday night in a concert sponsored by the Kalamazoo Latvian Association. She and her mother, Daiga Štube, who will accompany Anna on the piano, joined Cara Lieurance to preview the concert. They were also joined by Michael Hansen, a board member of the Kalamazoo Latvian Association. An interview with Anna Stube, Daiga Stube, and Michael Hansen. “I sit in waiting rooms of doctor’s offices and airports - and whenever normally you’re getting impatient or frustrated, I’m drawing,” says Kalamazoo architect and artist Michael Dunn. Dunn’s drawings are layered with many images, popping out at you from a fog of scribbles. They’re part of a new exhibit at the Kalamazoo Book Arts Center called “Drawing on Words” - which will have its opening reception during Friday's Art Hop. On April 1st, artist and poet Aurore Uwase Munyabera will present a large exhibition of her work called "Iwacu," meaning "home", at Kalamazoo's Black Arts & Cultural Center. The work reflects Munyabera's childhood as a survivor of horrific genocide in her native Rwanda. 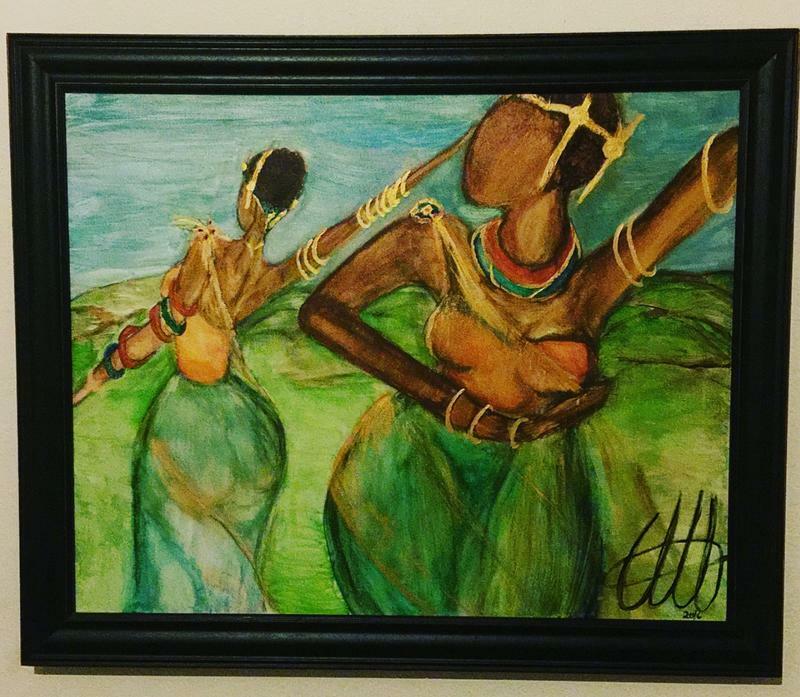 But now, through her art, Munyabera displays the beauty and nature of the country that she left more than two decades ago.